At Myles Nelson Mckenzie Design in Newport Beach California, we are often asked about decking material. We recommend the outdoor decking material from Trex. During the design phase of our project where there is a deck design application, we would discuss the use of their outdoor deck and decking material. For sustainable decking material and that has a great finish, we recommend the outdoor decking material from Trex. They were also the first to invent wood-alternative decking materials. Their decking material is a eco-friendly composite material. It is made from an innovative blend of 95% recycled wood and recycled plastic film. With hassle free maintenance, you just can’t go wrong. They even offers free decking material samples. This really helps our clients visualize which decking material and color to choose. Click here, for their link for decking material samples. Contact us today at Myles Nelson McKenzie Design. 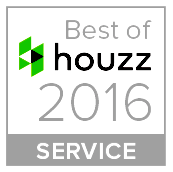 We are an award winning custom home designer located in Newport Beach, California. Additionally serving clients on the east coast from Hilton Head, South Carolina. We would enjoy the opportunity to discuss together with you, a new custom deck design for your new home design or home remodel.